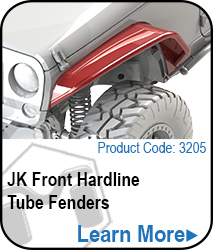 MetalCloak adds style to functionality with the JK Wrangler Hardline Flip Step for the 4-Door. Designed to attach to the MetalCloak Rocker Base the flip step can be used as a high clearance Step/Rub Rail or low hanging step for easier entry into your Jeep. 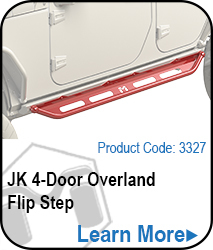 Made of 11GA hot rolled steel, this sturdy tubeless Flip Step is great for everyday use while getting into your Jeep, loading items onto a roof rack, and for additional protection from whatever life might throw at you. 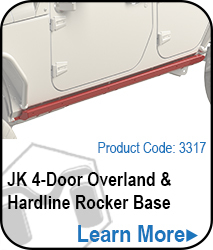 Note: You MUST have MetalCloak JK Wrangler 4 Door Overland/Hardline Rocker Base to mount this step. The step only mounts onto the MetalCloak Overland/Hardline Rocker Base. 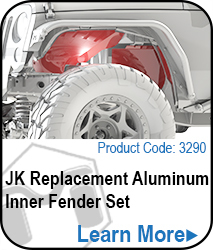 Note: This product may be ordered in Raw or MetalCloak's Signature Black Powdercoat. "The MetalCloak Rocker Base is not included"
Click here to add The MetalCloak Rocker Base to your order now. MetalCloak's Hardline Flip Steps are a multi-feature accessory and provide 3 separate configurations; a high clearance step entry, remove the step for high clearance rub rail, or flip it down for an easy to enter low hanging step. Get all these options with the ease of a bolt on accessory. 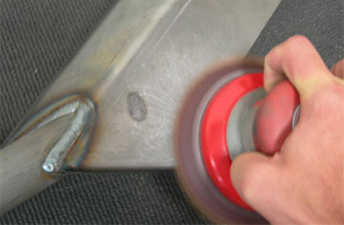 It's simple to change configuration with the removal of a few bolts you can change it from up, down, or off to match the need.